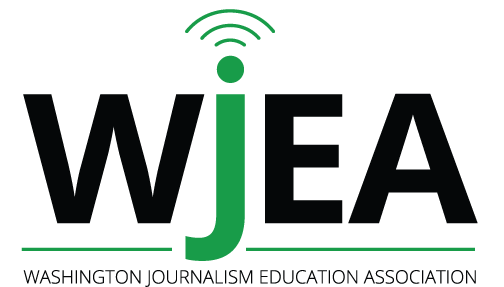 All members of WJEA are eligible to have their student publications (newspaper, yearbook, website, or newsmagazine) critiqued. Broadcast contests are forthcoming in the future, however for this soft launch of a new critique program we want to see how it fares first. The cost is $40 per publication critiqued. Questions or concerns? Please contact the critique service chair, Sandra Coyer, at coyers@gmail.com. WHAT IS IT? The All-Washington Awards provide you and your staff the opportunity to celebrate the journalistic work you’ve done all year. By entering into the critique, you are eligible to be honored for meeting a high standard of excellence. After a panel examines the entries, publications/ websites will be sent to judges from around the country and a detailed critique will be sent back prior to school starting this fall. The critique rating and All-Washington designation are SEPARATE from each other. The score on the critique does not impact the All-Washington designations. HOW DO WE DO IT? You should receive the entry forms and instructions this spring. The deadline is typically mid-June. FOR NEWSPAPERS: You will submit pdfs of at least three (3) issues (preferably one from first semester and the other two from second semester). These can be sent as e-mail attachment, upload to an online hosting site like Issuu, or provide a URL that links to the publication. Please note: Submissions MUST be postmarked by the JUNE 15 DEADLINE, and submitted yearbooks WILL NOT returned. WHAT HAPPENS NEXT? Publications will appear before a panel of trained and seasoned advisers. No adviser whose publication is up for All-Washington will be part of the panel in their category. Then publications will be sent off to judges to receive a detailed critique where they will earn either a Superior, Excellent or Honorable Mention designation. Announcements of All-Washington award winners will be made at the Journalism Day at the University of Washington in September. Publications should receive their detailed critique back at some point in late August/early September.